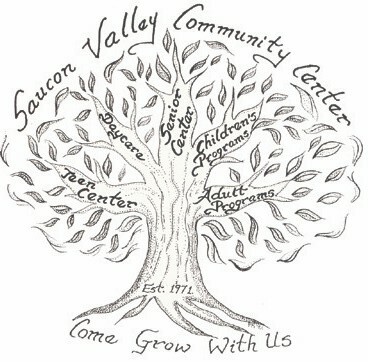 For more than 35 years, the Saucon Valley Community Center (SVCC) has been working to provide programs and services to meet the needs of our community. Founded in 1971, we serve the borough of Hellertown, Pennsylvania and the surrounding municipalities. Through our professionally staffed Childcare and Early Learning Programs, we offer full- and part-time childcare for children ages 18 months to kindergarten as well as preschool classes. Through an exclusive contract with the Saucon Valley School District, we also provide before and after school care to children in grades kindergarten through five. In addition to our childcare programs, we offer a variety of community education classes including comprehensive programs for teens, adults and seniors. Our management team consists of an executive director who oversees a staff of 20. More than 65 percent of our staff have completed or are enrolled in an early childhood degree program or related field of study. The Center is governed by a 15-person volunteer board of directors. 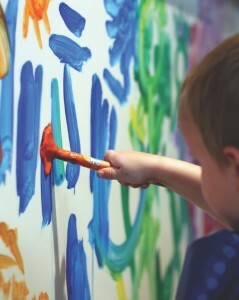 SVCC is licensed in Pennsylvania to provide childcare services to children as young as 18 months. Our facility is also in compliance with all facility and staffing requirements as mandated by the State of Pennsylvania. Our childcare programs are recognized by the prestigious Keystone STARS initiative (Click for press release). A continuous quality improvement program, Keystone STARS is part of the Early Learning Keys to Quality initiative, which was developed by the Office of Child Development and Early Learning to ensure that all Pennsylvania families have access to high-quality early childhood education and school age opportunities that foster children’s success in school and life. SVCC relies on community support to maintain its diverse offering of programs and services. Read more about how you can support the Saucon Valley Community Center! For more information or to schedule a tour of the facility call 610.838.0722 or email us today! Find out more about current volunteer opportunities at SVCC by calling 610-838-0722 today.